Glasgow Light Opera Club Amateur Dramatic Society 100 years of performing musicals! It is with a great deal of sadness that that we announce the sad loss of our very dear club member and past President, Betty Beckles, who passed away 25th March. She put her heart and soul into everything to do with GLOC. Betty really was GLOC through and through! She was Club President for over 40 years, and her work in building up the club cannot be overstated. The current membership owe everything to Betty. She will be missed. The service is at the Linn Crematorium, 413 Lainshaw Dr, Glasgow G45 9SP Tuesday 2nd April at 12 noon. ‘Betty joined the Glasgow Light Opera Club in 1957, and her first show was Carousel, in the King’s Theatre in which she played the role of Carrie Pipperidge. 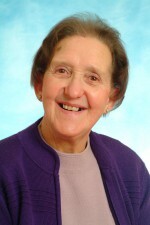 She became President of the Club ten years later in 1968 and retired from the position in 2008. Thus, she was President for 40 years. She was a full member of the Club for 61 years. In Honour of Tommy Coll! As many of you know, the Glasgow Amateur Dramatic scene lost one of our greats this January - Tommy Coll. 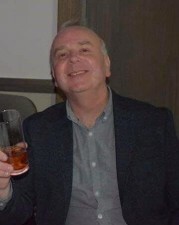 Tommy was an active member throughout many different clubs, and we at GLOC we were lucky enough to have him as both a club member, and as part of our committee. He also was an enthusiastic member of our Concert party for this season. We loved his humour and the joy he brought to all our rehearsals and shows. To that end, we would like to honour his memory by holding a concert in his name, and donating money to a charity of his family’s choice - The Prince & Princess of Wales Hospice. We would like to announce ‘GLOC Presents ... A Concert For Tommy’. We hope all those who knew Tommy, and all those who were lucky enough to share a stage with him will come along and help us celebrate him in the best way we could imagine. Welcome to the Glasgow Light Opera Club! 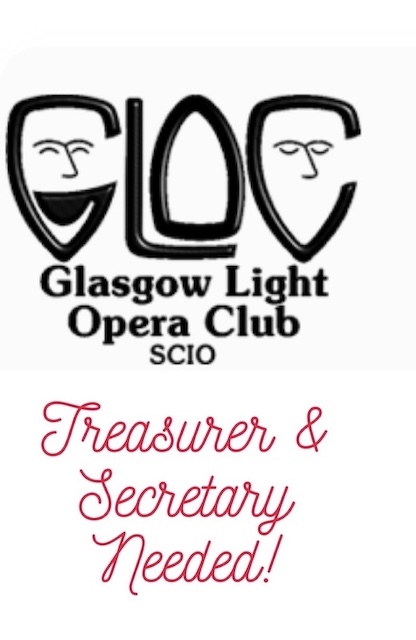 The Glasgow Light Opera Club (GLOC) are an inclusive and friendly amateur dramatic club based in Glasgow. We have members from all walks of life and all age groups who share one thing in common...a love for musical theatre! Since 1908 GLOC have staged operettas and musicals for the people of Glasgow and beyond to enjoy! GLOC's dedication to singing and acting excellence has always been at the forefront of what we do, as well as keeping the amateur tradition safe and healthy in increasingly challenging times. We perform a major musical show annually at the Kings Theatre Glasgow. We meet for rehearsals in Glasgow Indoor Bowling Club and are always on the lookout for new acting and singing talent! If you are interested in us, why not come along and see us in action at our rehearsals? We can guarantee you will be made very welcome. Please see our Club News page for the latest information. The show week will be 22nd to 26th October 2019 in the Kings Theatre, Glasgow. Club Secretary & a Treasurer. The Cystic Fibrosis Trust is the only UK charity dedicated to fighting for a life unlimited by cystic fibrosis for everyone affected by the condition. "Our mission is to create a world where being born with CF no longer means a lifelong burden of care and an early death, when everyone living with the condition will be able to look forward to a long, healthy life."